This book nails it: both the feeling of conflict and the conclusion of duty back home. I’m impressed at the realistic inclusion of both officer and enlisted, especially both sexes, male and female. The repeated exposure to war, though not completely understandable or always justified, has both physical and psychological consequences to everyone involved. Though each service member has bonding similarities, everyone is affected uniquely. Author Michael Pitre expresses this perfectly. For that, I want to thank my military brother. I am a former Marine and currently work helping my fellow Veterans. FIVES AND TWENTY-FIVES captures what many civilians want to know, but so few returning military members wish to express. Thankfully Pitre, was trained in writing before he signed up for training in combat. He took that writing expertise to war—twice—returning with the capturing of unequivocal knowledge. 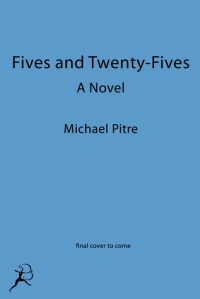 As a writer and a Marine, Pitre relays experiences unparalleled to many of this written genre. In particular, this book focuses on several different people involved in the conflict of Iraq: officer, enlisted, Navy Corpsman, and Iraqi interpreter. Initially, it felt like separate stories, which I would have appreciated as well, but then the stories began weaving more and more together. Pitre’s method brought about the intricate relationship every member has with one another, whether in peace-time uniform, in shoulder-to-shoulder combat, or discharged back home. If you were never in the military and want to know more about our men and women coming home and still serving overseas, this is the book to read. If you were in the military and want to understand more about modern-day effects of multiple combat tours: read this book. I want to thank Bloomsbury for providing this book electronically for me to review. And for the author, Semper Fi, brother.